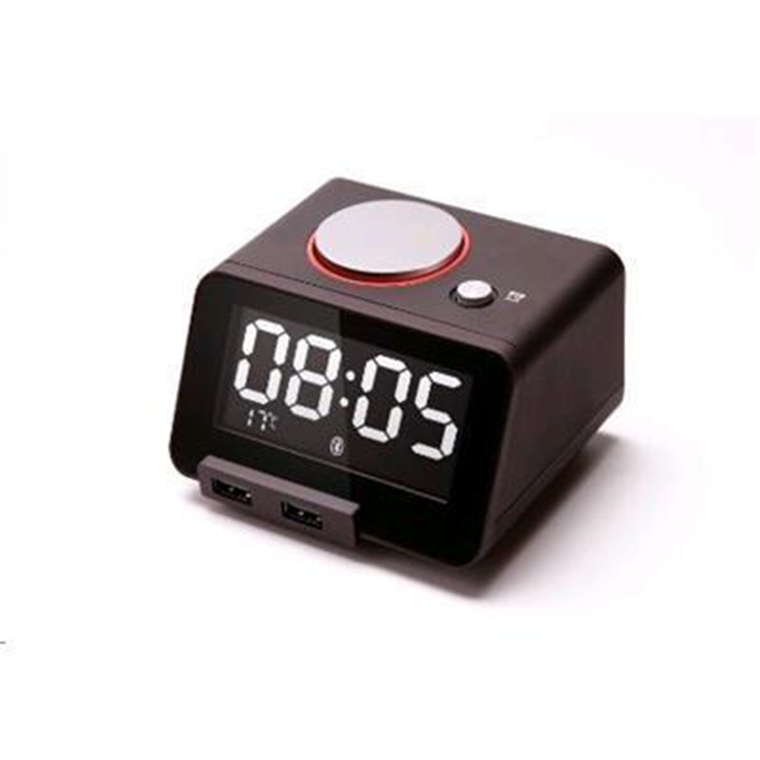 "We bought this alarm clock for my son as he needs to be up early to get the bus to intermediate school. It's loud enough to wake me up and I'm in the next room." 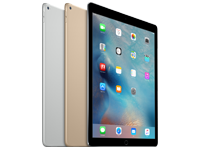 "Small in size and has great features for the price. The charging station is super handy and the sd-card slot for music to play when the alarm sounds is great. 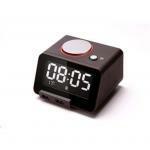 I was looking for an alarm clock with..."
"Love it! Great features. Easy to use.Love that it doubles as a Bluetooth speaker. Looks sharp." 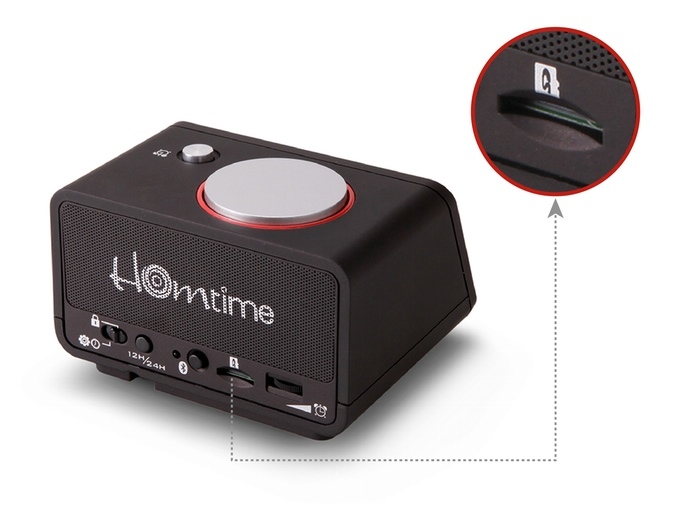 The Homtime C1pro is the definition of "multifunctional" - it's got the look and feel of a digital alarm clock but is for so much more than waking up. 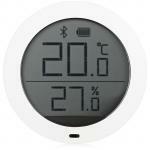 Not only does it display time and temperature, but you can also use it to charge your USB devices or pair it with Bluetooth® electronics to project audio through its built-in speakers. 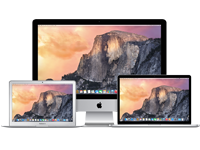 It's a 4-in-1 device designed for personalization. 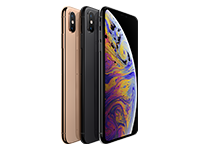 A brightness adjustment setting allows you to minimize glow at night, and a convenient microSD card slot allows you to set alarms with your favorite tunes. 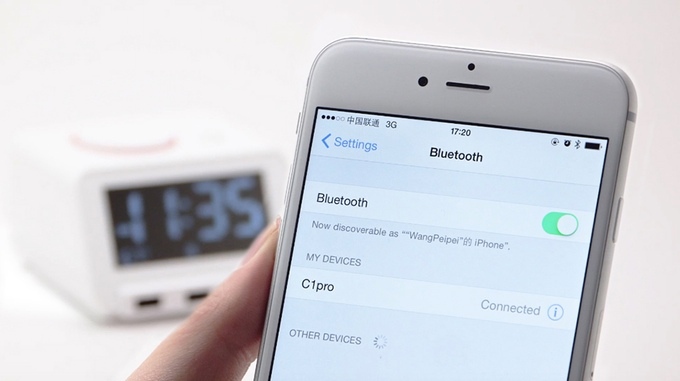 With a compact size and good sound quality, the C1pro's user-friendly design will be useful from the time you wake up until you go to sleep. 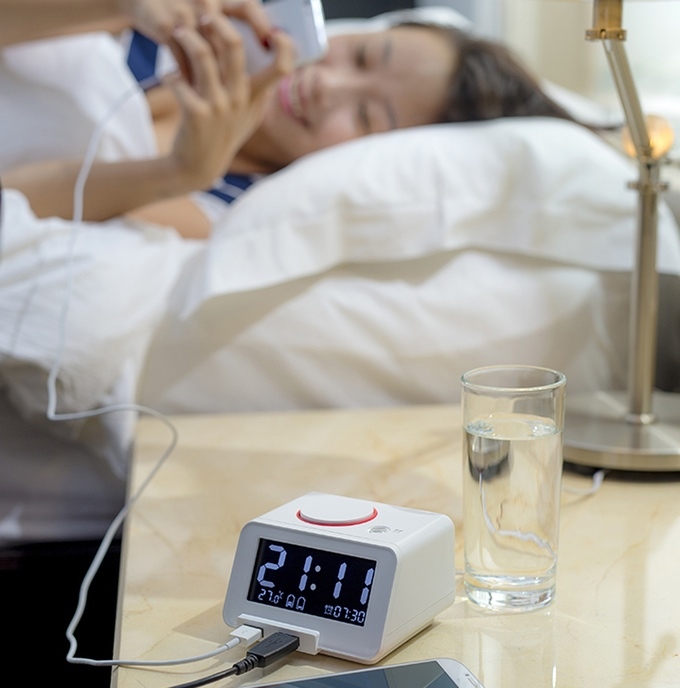 It's not just a gadget - it's a bedside companion. Many multifunctional devices these days boast a charging feature, but they're actually too basic to handle two devices at once. That's why we've not only included two USB ports, but also made sure they can handle devices that require different charging speeds. A 1A port for smartphones and a faster 2.1A port for tablets will ensure you're never low on power. 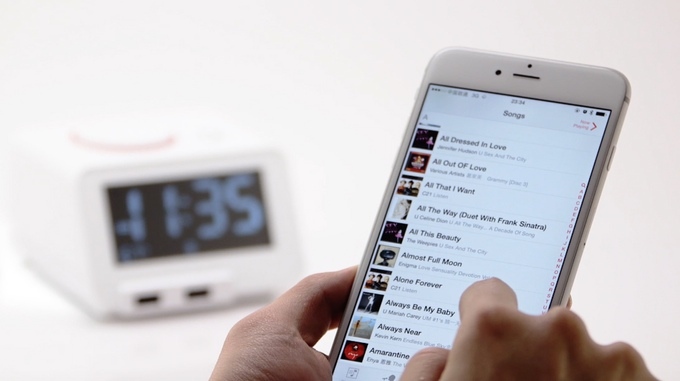 Upgrade your life by turning harsh alarm tones into pleasant get-up-and-go tunes. 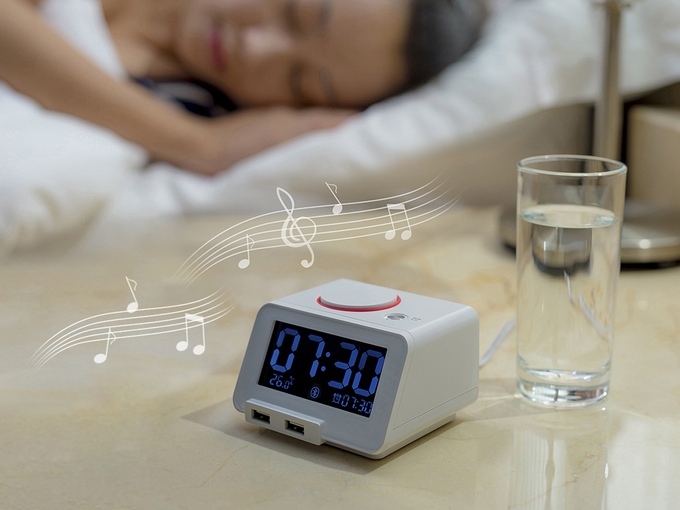 Keep the C1pro at your bedside, and use a microSD card to personalize your alarms with your favorite songs. Turn the rotary dial to set the time and alarm. It's that easy! 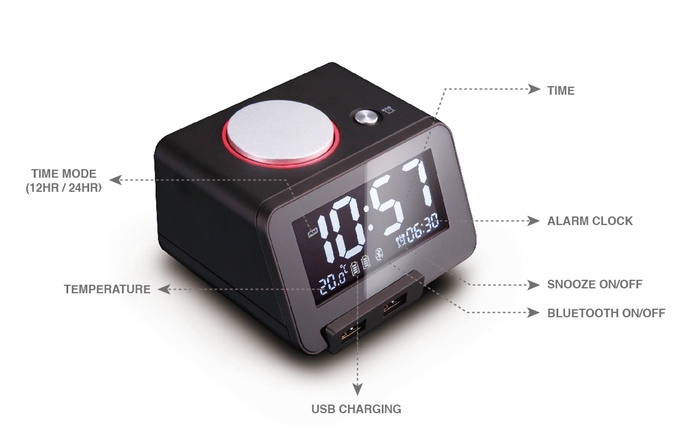 We know how annoying it is to repeatedly press and hold a button for a long time to set the time or an alarm. So, we've made it much easier - just turn the rotary dial to the desired time, press "set" and you're done. 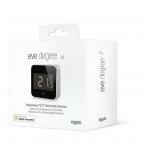 We all have different sleeping habits, and sometimes the glow of a clock's LCD can be a little too bright at night. That's why we've added another function to the rotary dial - it also serves as a 4-level brightness adjuster so you can wake the C1pro up when you get up and dim its light at night . 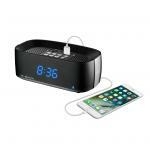 Play your favorite tunes with the Bluetooth speaker or listen to an audio book without leaving your bed. Whether you're syncing via Bluetooth to use the speaker, or connecting via USB to charge, every function is plug-and-play. 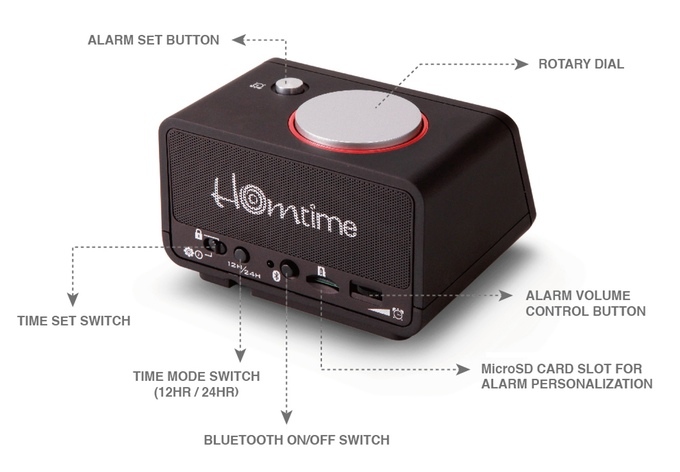 The Homtime C1pro is an all-in-one gadget to keep by your bedside. 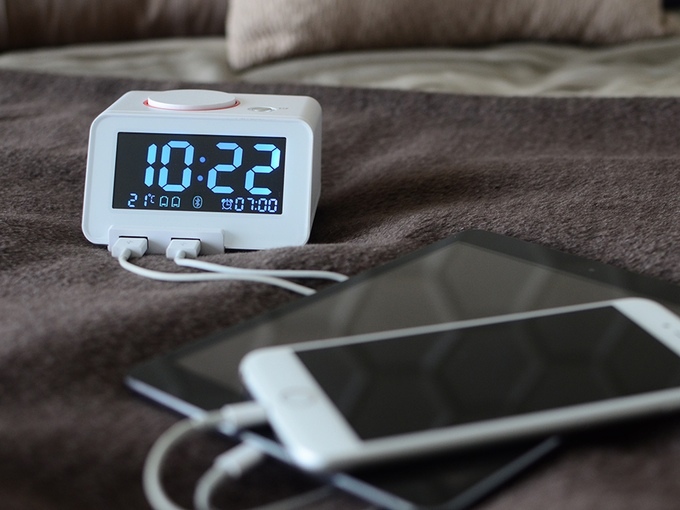 It can wake you up, play your favorite tunes, charge your digital devices simultaneously, display various brightness levels and even tell you the temperature - it's got the capability of multiple plugged bedside devices in one gadget that eliminates the tangle of cords. 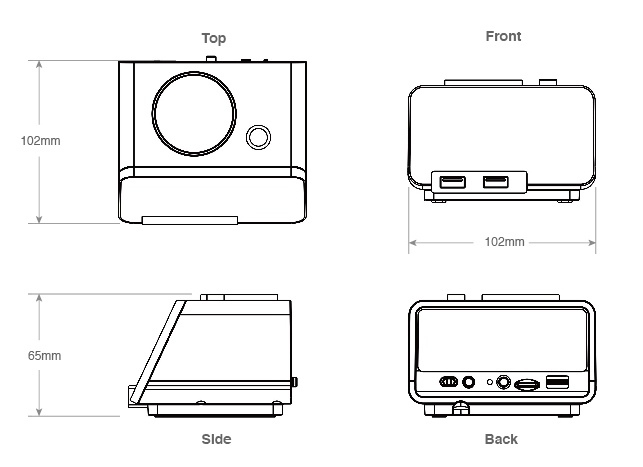 The C1pro combines a convenient and sleek design with user-friendly technology. Does it have Dual alarm? Love it! Great features. Easy to use.Love that it doubles as a Bluetooth speaker. Looks sharp.Love it! Great features. Easy to use.Love that it doubles as a Bluetooth speaker. Looks sharp. 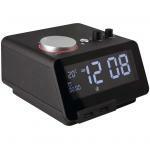 We bought this alarm clock for my son as he needs to be up early to get the bus to intermediate school. It's loud enough to wake me up and I'm in the next room.We bought this alarm clock for my son as he needs to be up early to get the bus to intermediate school. It's loud enough to wake me up and I'm in the next room. Absolutely horrible bluetooth connection. Humming buzing noise. Tried different inputs, power supply filter, moving to different locations, nothing fixed it. 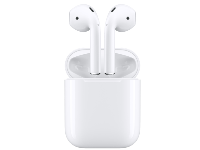 Small in size and has great features for the price. The charging station is super handy and the sd-card slot for music to play when the alarm sounds is great. 1. Daylight brightness = easy to read in direct sunlight. 2. Super Dim = great for when it is dark you can see what time it is without keeping you awake. 3. Off = the screen is off.Small in size and has great features for the price. The charging station is super handy and the sd-card slot for music to play when the alarm sounds is great. 3. Off = the screen is off. 1. Lights up the room with blue light. Took it back to see if it was just mine but the next one I tried was the same. Normally: $55.00 Normally: $63.25 $51.64 ex. $59.39 inc.